Sometimes, we have something wrong with ourselves that we don’t really think about—something we disregard as being an issue. Maybe it’s an ache or a slight skin discoloration, but these things may have an underlying issue that could be a cause for concern. Take tingling lips for example. It’s something that has probably happened to all of us from time to time, but never given it much thought. Unfortunately, in some cases, tingling lips may be a warning sign of something that shouldn’t be ignored. In this article, we’ll take a look at some of the possible causes of tingling lips and numb lips, the symptoms that may go with these issues, and a number of natural treatments for tingling lips. Tingling lips, or numb lips, is a problem that is fairly easily recognized. Your lips feel similar to when your feet or hands fall “asleep” or “pins and needles.” It’s a tingling sensation around the lips and a type of numbness. The numbness or tingling may start off small in the affected area and may spread to the entire lips, depending on what the causes of the tingling lips are. But what are the causes of tingling lips? Are they serious or can they be ignored? Unfortunately, this is an issue that you may want to take a deeper look at. What Causes the Tingling Lips Problem? What causes tingling lips? Why are my lips numb? Tingling lips can have a number of causes behind them. Some of them are temporary issues that can be easily solved or will just go away on their own. Other causes have more serious implications that need to be looked at with a doctor. Here, we will talk about the causes of tingling lips—both mundane and serious. If you have tingling or numb lips, they might be caused by something as simple as allergies. It could be an allergic reaction to a food product or a cosmetic. The tingling lips could be caused by an allergic reaction to something that doesn’t touch your lips at all. The tingling or numb lips may be the result of a mineral deficiency. A lack of potassium or sodium, for example, may be the cause of tingling lips. A lack of phosphate can also be a mineral-deficient cause of numb lips. Hypoglycemia is when your blood sugar levels drop below a normal level. This can be due to things like diabetes, kidney failure, and infections. One of the symptoms of hypoglycemia can occasionally be tingling or numb lips. Oral herpes, which can cause what are commonly referred to as cold sores, can also cause numbness of the lips or tingling lips. Raynaud’s phenomenon and Raynaud’s disease is when the blood vessels that are close to the surface of the skin become contracted due to low temperatures. When this occurs, it can cause your lips to go tingly, as well as other appendages. Raynaud’s phenomenon is when the cause is known like systemic lupus erythematosus (SLE), systemic sclerosis, rheumatoid arthritis, or vasculitis. When the cause is not known, it is Raynaud’s disease. Serious infections like Hansen’s disease (otherwise known as leprosy) and shingles can cause tingling lips. Multiple sclerosis is a disease that can cause issues with the nervous system being able to communicate with its various parts. MS can cause tingling lips. With these causes come a few other symptoms you may not have considered that go along with tingling or numb lips. These secondary symptoms you may want to pay attention to. 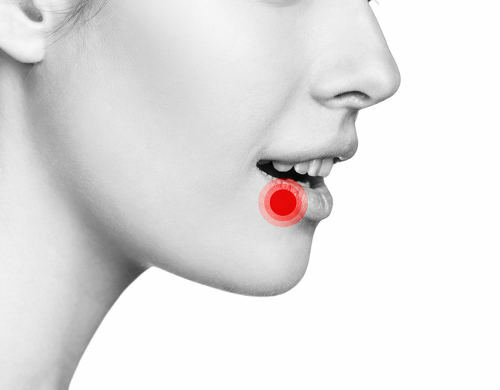 What Other Symptoms Can Occur with Tingling Lips? Now that we’ve covered the initial symptoms of tingling lips and some of the things that might cause tingling lips, you should be aware that there are other symptoms that may become part of the tingling lips package. One of the symptoms and side effects of tingling lips or numbs lips is damaged lips in various forms. Chapped lips, dried out lips, or redness can all be part of having tingling or numb lips. Occasionally, numb lips will get these bursts of pain and discomfort. These are usually accompanied by one or more of the damaged lip symptoms, along with tingling or numb lips. Unfortunately, sores are also something that comes with tingling lips. They may be part of an allergy or oral herpes, but when they occur, they may break up the numbness with a point of pain. With all of these symptoms and causes, there are a few natural remedies that might be able to help you deal with tingling lips. With some of the causes of tingling and numb lips, there are some natural treatments that can help stop the tingling and get your lips back to normal. As some of the causes of tingling lips are linked to certain mineral deficiencies, the best way to take care of those issues is eating foods to boost those minerals. Minerals that are no longer deficient can no longer cause your lips to go numb. This may also help if the cause is low blood sugar. Chewing basil leaves may help clear out a mouth infection that is causing the numbness. Peppermint oil can help clear up sores and a few of the minor bacteria that can cause tingling lips. The best way to do this is to use a clean cotton ball, dip it in peppermint oil, and then rub the oil around your lips. Numb or tingling lips can often come with sores, and dry or cracked skin on the lip area. Don’t pick at it or tear off the dead skin. This can leave your lips open to more pain and damage. If you need to remove dead skin, take a cotton ball and dip it in lukewarm water and wipe the area (or use a very soft toothbrush). This can help clean out the area and clean off the dead skin without causing damage to the new skin. If you are concerned by the tingling lips or numb lips, go see a doctor. It may be a bacterial or viral infection that won’t be cured by these homemade remedies. It also may be one of the more serious issues we mentioned previously like MS or even cancer. If the lip numbness isn’t going away, it’s best to get it checked out so you can deal with whatever may be causing the problem. If it’s a big problem, start to get a handle on it—sooner rather than later. Lip tingling and numbness is a symptom we’ve all had at one point of another. It may be caused from a cold day or from a food allergy. For many us, we’ll have it for a short period of time and then it is gone. For others, it may be a simple problem with a simple, natural solution. Regardless of what has caused it, it’s best not to leave the problem too long. Try a natural treatment but if it persists, see a doctor.